Designed for growing C-FERN® spores. 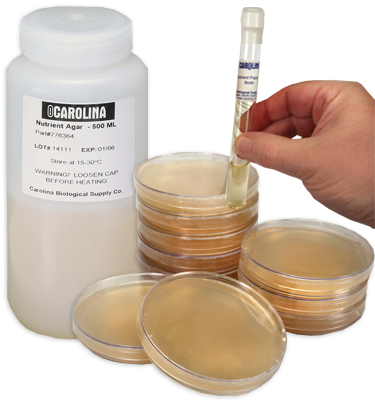 The small, 160-mL bottle is identical to the size used in the C-FERN® kits and will pour 10 plates (60 × 15 mm). The large, 400-mL bottle will pour 25 plates (60 × 15 mm).